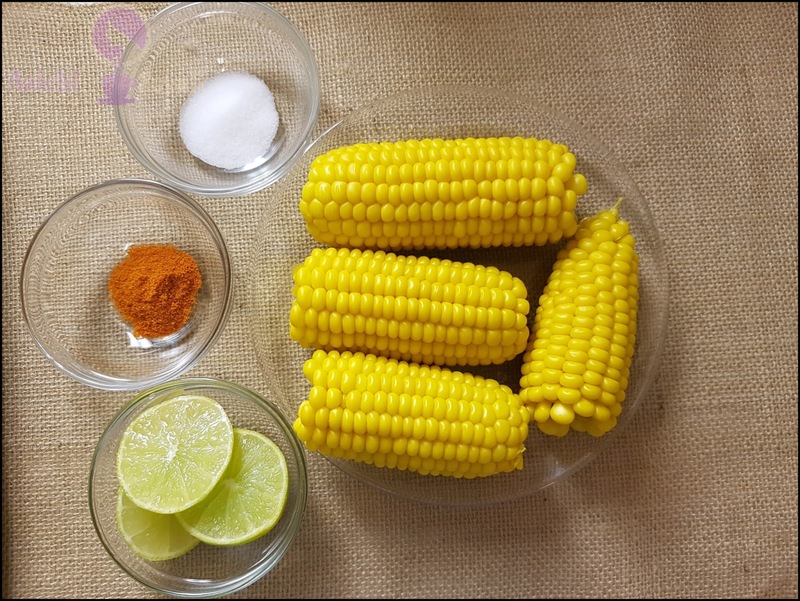 Boiled sweet corns make a great addition to your salad, snack, grilled/cooked chicken, steaks, fish or any spread or just eat corn all by itself. By combining it with other foods, you can boost the nutrient content even more. Boiling corn in instant pot is a lot quicker and less messy than grilling it and boiling it in the instant pot requires very little preparation and short cooking time. Such a simple method to make the best tasting corn ever. After boiling, you can toss it in spicy, seasoned butter and is sure to have you addicted after the first taste. On a warm summer’s evening, nothing beats the first bite of corn, smothered in melting butter! Preparation and Cooking Time : 3 Minutes. Turn on instant pot and add a cup of water. In another pan add water 2 cups, corn pieces, salt and turmeric powder. Place pan in the instant pot and close the lid with the vent on sealing position. Cook in a high-pressure manual mode for 3 minutes and followed by npr. Tadaa, sweet corn ready to serve, if you like just rub a pinch of red chili powder and lemon juice over boiled corn or you can serve as it is. Enjoy!!! 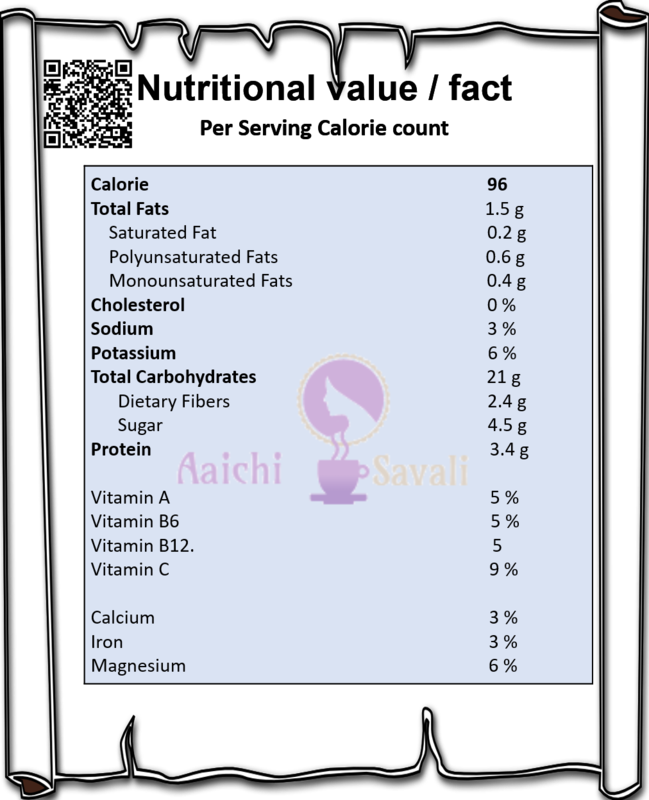 Per serving contains 96 calories, along with carbohydrates - 21 g, dietary fibers - 2.4 g, fats - 1.5 g, proteins - 3.4 g. As it is a good source of vitamins and minerals, it contains Vit.A -5%, Vit.C-9%, Iron - 3%, Magnesium - 6%. Gluten-free - Sweet corn is a gluten-free cereal and may be used safely in celiac disease individuals much like rice, quinoa, etc. Its flour form, maize is used to make gluten-free pasta, which is a healthy alternative to the wheat version. Fewer Calories - Fresh sweet corn has much fewer calories than that of in the field corn and other cereal grains like wheat, rice, etc. 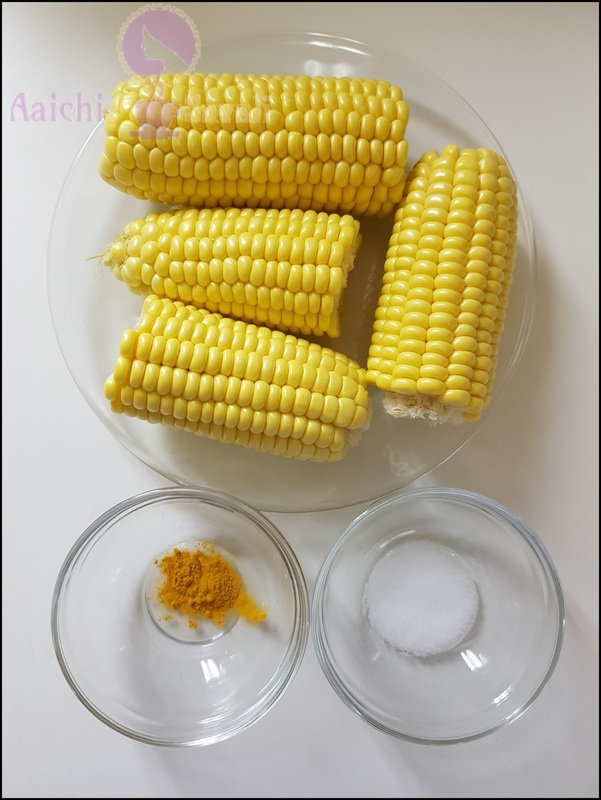 Minerals - Sweet corn contains healthy amounts of some essential minerals like zinc, magnesium, copper, iron, and manganese. Good source of fiber - sweet corn is a rich source of fiber, which is good for digestive health. When it comes to the diet, sweet corn works well as a side dish, or an ingredient in soups, salads or casseroles. Protein - Sweet corn has a good amount of protein for a vegetable. It functions to repair cells, build muscles and boost the immune system. Anaemia - Sweet corn can help fight anemia. The vitamin B12 and folic acid found in corn help prevent anemia caused by a vitamin deficiency. Corn is also a good source of iron, which is essential for the body to create new red blood cells. 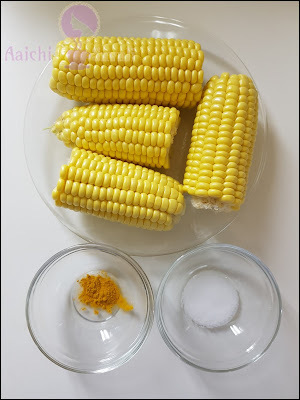 It's good to eat boiled sweet corn for breakfast, lunch and as a snack.